Cleveleys is a bustling seaside town on the Fylde coast that is loved by residents and visitors alike. There is always something fun to see and do on the seafront and plenty of imaginative sculptures and monuments to marvel at. Cleveleys also has a proud sense of community and there is an abundance of activities for local people to get involved in, from restoring the historic clocktower to celebrating together at a local beer festival. The hustle and bustle in Cleveleys and the bracing sea air certainly makes you work up an appetite, and there is no better way to relax and replenish at a fun public event or special celebration, than with some of Hog Roast Cleveleys’s, hearty, freshly prepared food. Our unrivalled hog roasts are a fabulous option for large gatherings and our extensive range of menu options will leave you spoilt for choice if you need a great local caterer for your wedding reception, anniversary or family party. The Hog Roast Cleveleys team have the experience, expertise and enthusiasm to make any event you may be planning a huge success in the food department. 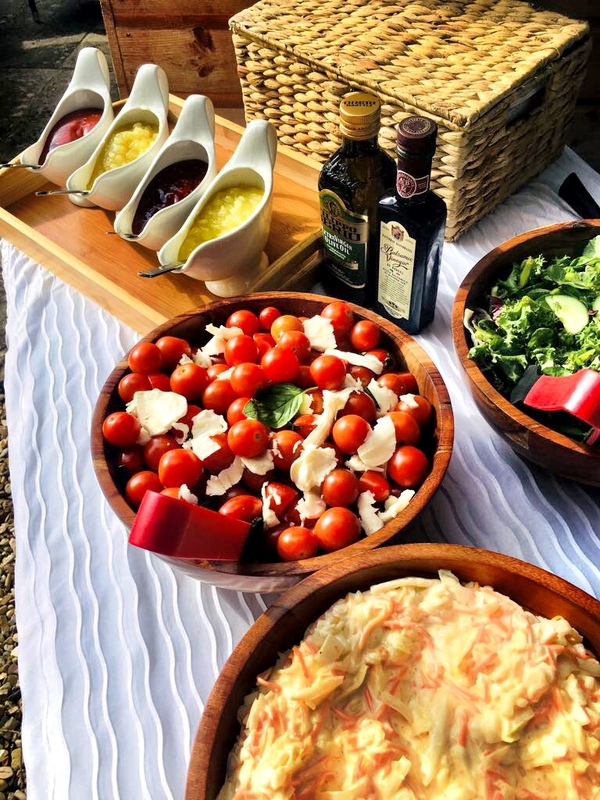 We can cook anywhere for any amount of people and we always freshly prepare everything at your venue, whether it be on the windswept seafront, in the market place or a cosy indoor gathering. Our menus are just as versatile as our approach to catering and as well as providing the best hog roasts in the area, we also have a varied selection of themed menus, 3 course meals, a choice of alternative meats, vegetarian options, delicious salads, seasonal side dishes and our own hand crafted canapes, for that extra touch of elegance. If you do require a more formal feel for your event, we can serve your elegant, locally-sourced food to you as a traditional 3 course meal, rather than a buffet, complete with our own talented events staff to provide full table service and greet you and your guests with a tempting platter of nibbles upon arrival. When it comes to versatility, impeccable service, attention to detail and the finest quality ingredients, the Hog Roast Cleveleys team are the perfect catering solution for any event in the area.